If you like charm bracelets, you will love our top list. We got all the most popular models here! Ever since charm bracelets showed up, they’ve been incredibly popular. However, while fashion trends do change every season, these bracelets somehow always stay fashionable and interesting. Some accessories truly are timeless. So, if you’re looking for one that will be perfect for you, check out our top list. This silver-plated model is the perfect choice for every Alice in Wonderland fan. A little bit retro, a little bit elegant, this is something that will look good on any wrist and in any occasion. With pendants such as a book, a mirror, a teapot, a pen, and a throne, this bracelet will go with any outfit. 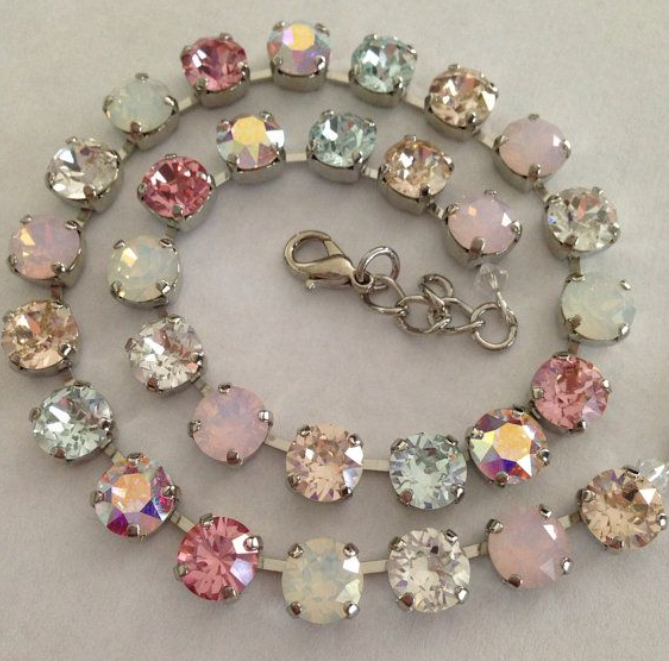 This silver-colored bracelet is filled with soft pink details. Furthermore, each pendant tells its own subtly pink story, making the bracelet a perfect addition to evening wear, or a casual picnic dress. You can change the order of charms the way you see fit, or even add new ones. If you want a warm, golden bracelet that will shout “summer vibes”, this is the best choice there is. An owl, a bunch of hearts, and some zirconia make this charm bracelet the perfect summer statement piece. Simple, yet elegant, this bracelet looks great on every wrist. Just choose the first letter of your name, and it will be engraved in the heart charm that dangles from the bracelet. Interesting, personalized, and durable at the same time, this can also be an ideal gift. If you want to build your charm bracelet from scratch and pick each charm based on a significant memory, you will need a bracelet to start with. That’s what this snake chain stainless steel bracelet is for. Furthermore, once you get this, you can start creating your own unique charm bracelet. A good way to start your own charm bracelet. 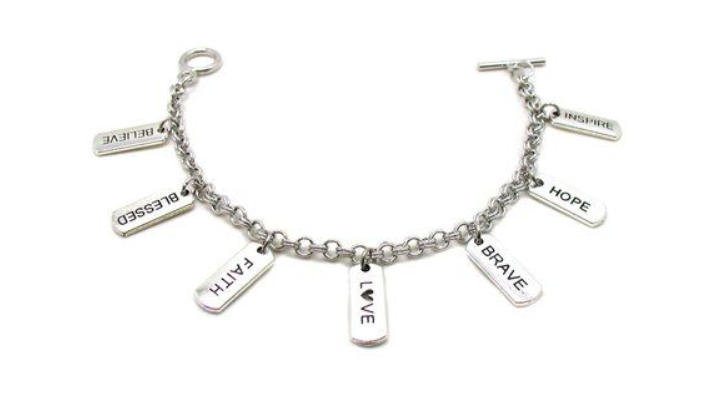 These stainless steel blank bracelets look great, and you can put absolutely any charm you want on them. After all, who knows, maybe that’s a start of your career in jewelry design. If you ever need a reminder that everything you set your mind to is possible, look no further. This gorgeous bracelet comes with a charm that says “She believed she could so she did.” Positive, trendy, and sweet, this is a must-have accessory. When you’re in love, and you want the world to know it, don’t just shout it off the rooftops! Wear clothing and jewelry that say it. Wear jewelry like this love charm bracelet that is full of symbols of love. Hearts, smileys, and flowers – finally, what is better to show off your great mood? This gold-tone charm bracelet is creative, interesting, and fashionable. Furthermore, it’s a piece that has to be in your jewelry box. If you always wanted unicorns, stars, and four-leaf clovers, then this is your lucky day. 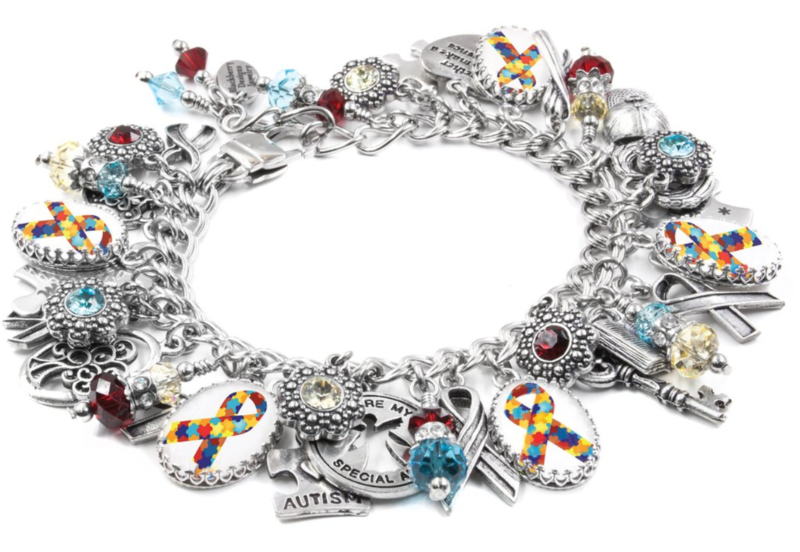 This bracelet comes with all those charms, as well as many other interesting ones. After all, those details will show off your fantastic side.